We provide cytokines, growth factors, chemokines, CD antigens, neurotrophins, hormones, enzymes, viral antigens, recombinant proteins, natural proteins, monoclonal antibodies, and polyclonal antibodies. Please search your products from here! 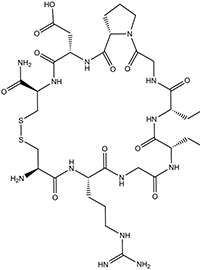 Introducing: PepMag Conjugation Magnetic Agarose, 10% bead suspension. Order PepMag Magnetic Agarose beads for easy peptide conjugation, pull down experiment and binding assays. Simply mix the agarose beads with your peptide through reactions with the amine groups on the peptide. The high surface area of porous magnetic agarose beads results in high binding capacities. The binding of peptide and agarose beads are permanent. For binding with your target protein or antibody, simply mix the conjugated beads with your samples, Wash the beads and elute the protein or antibody using 50 mM glycine pH 2.5. Any buffer that breaks the binding between peptide/protein or peptide/antibody can be used for elution. Buy one FLAG antibody, Get one FLAG peptide for free. Choice of FLAG peptide or FLAG-Cysteine peptide. Use Code FREEFLAG When Checkout. Order anti-DYKDDDDK monoclonal antibody from here. Get one FLAG peptide for free.